I put this simple toy together for Rosie and Jewel, and they have been having so much fun! 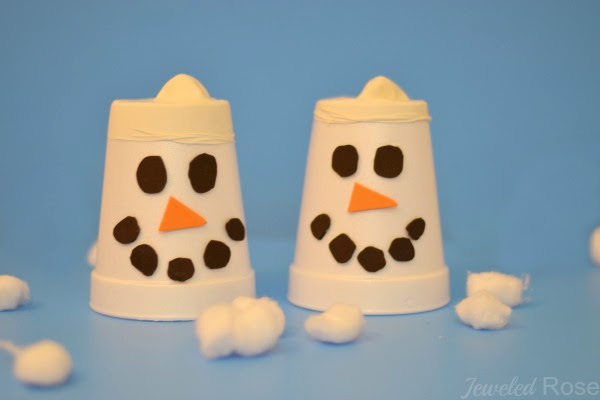 These snow shooters are a great boredom buster for the winter ahead. 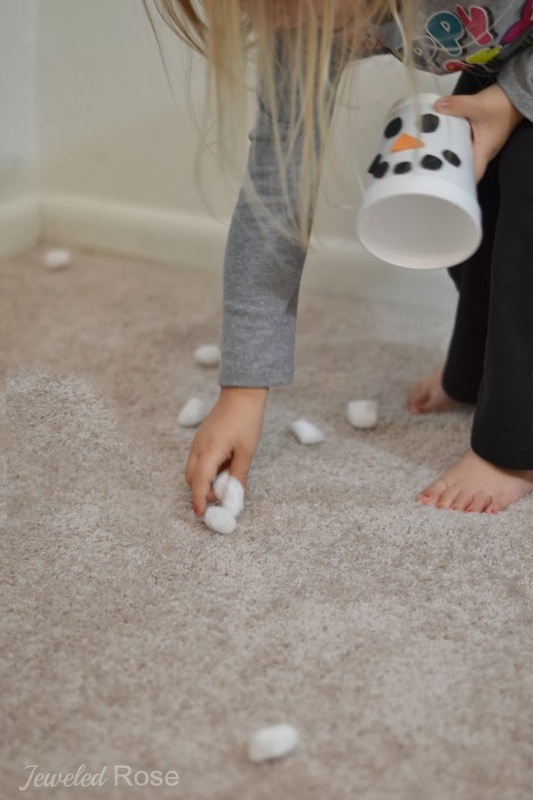 Kids will love having indoor snowball fights, all while warm inside. Are you ready to see how? Begin by cutting the bottom off of two white cups. 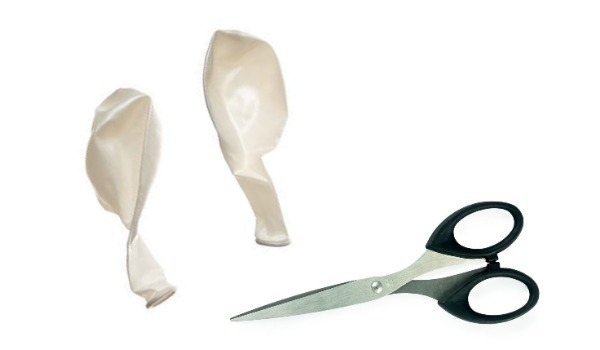 Then, take two white balloons and cut the tops off of those to create a larger opening. 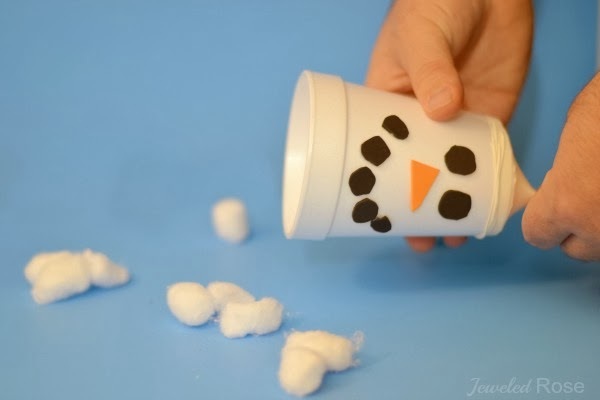 This will make it easy to stretch the balloons over the cup bottoms. Layer the bottom rim of each cup with glue. I used a glue stick, but hot glue would work even better. Now, quickly pull the balloons over the glue and press down until secure. 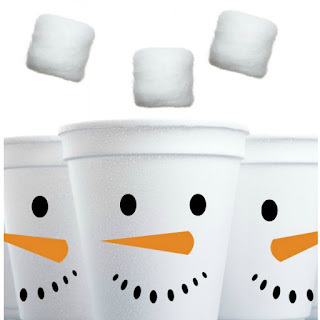 Once the balloon pieces were secured I decorated the front of the cups to look like snowmen using craft foam. 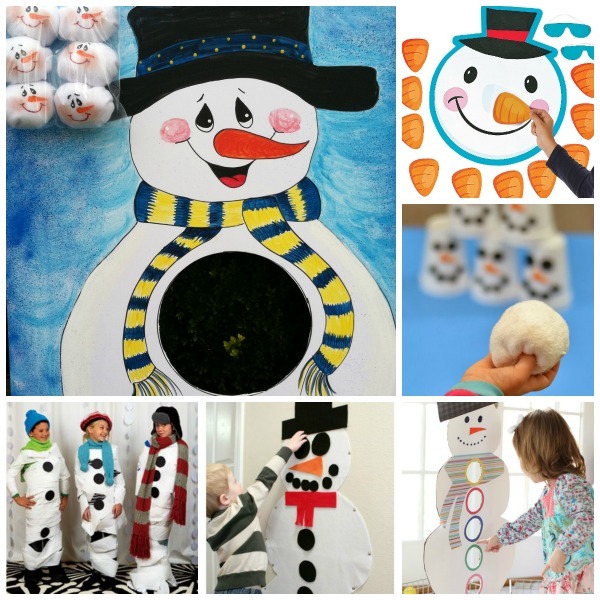 Give kids cotton balls, white pom poms, or balled up paper to shoot at each other, and they are sure to have a blast! 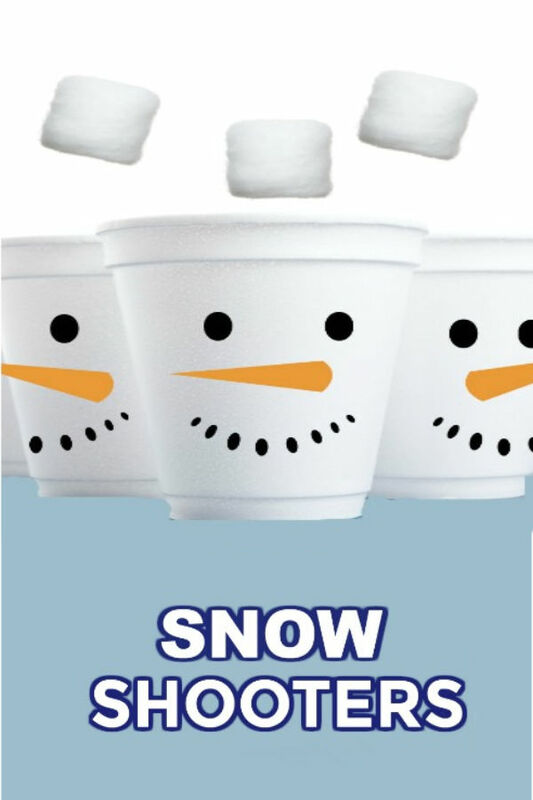 All they have to do is place the "snow" inside the cup and gently pull back on the balloon. The snow will go flying! Rosie and Jewel have been having lots of fun shooting snowballs all over the house and especially at each-other. 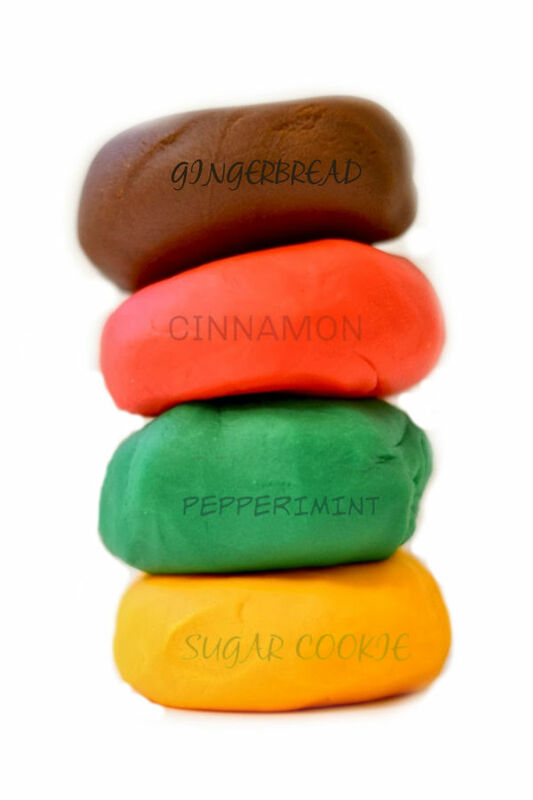 One thing I love about this kids activity is that there is virtually no clean-up! 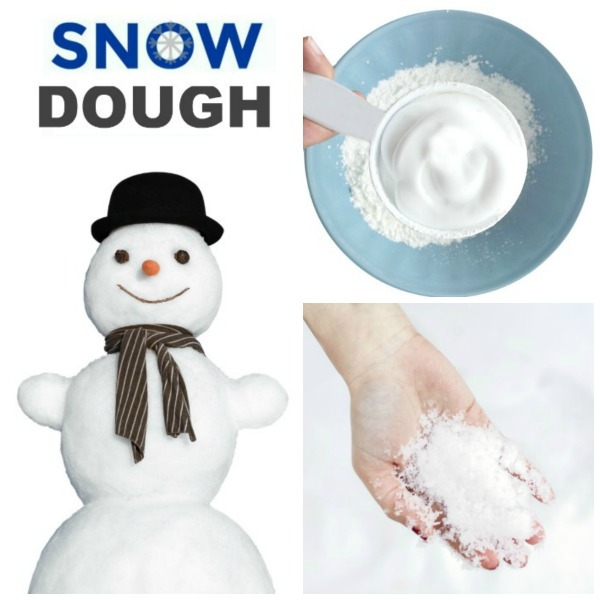 It only takes a minute to gather up the snowballs and tuck the snow shooters away for another day.